On a Friday afternoon in the spring of 2011, the Tōhoku-Oki earthquake shook northeastern Japan for six minutes and shifted the country's main island by 8 feet. Minutes later, residents began receiving tsunami warnings through broadcast media, mobile phones and sirens. But initial alerts underestimated the size of the waves and many people failed to evacuate to ground high enough to escape the waves that swept over parts of the coastline – some at heights up to 120 feet. As it emerged from the catastrophe, Japan installed a network of seismic and pressure sensors on the ocean floor that have raised the bar for tsunami early-warning systems worldwide. Now, new research by scientists at the School of Earth, Energy & Environmental Sciences (Stanford Earth) suggests how warnings based on data streaming in real-time from sensors like those in Japan could be made more accurate by combining it with tsunami simulations. Published in the peer-reviewed Geophysical Research Letters, the study describes a new method designed specifically for local early tsunami warnings. 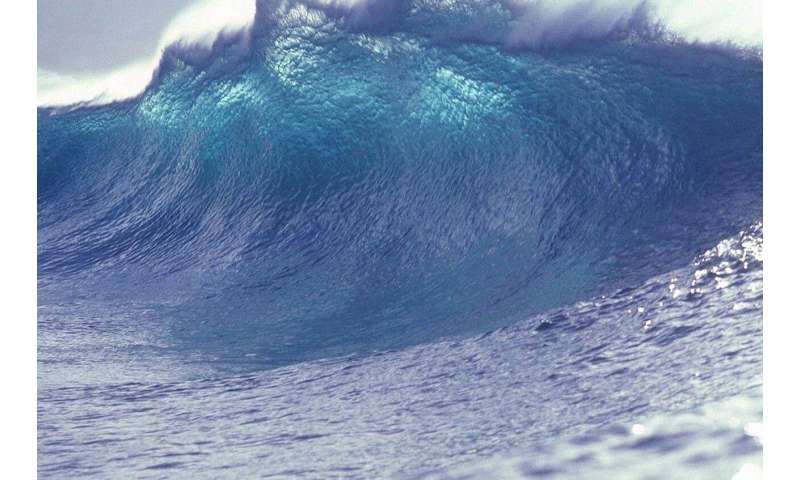 "That means warning coastal residents that a tsunami wave generated 50 or 100 miles offshore is coming in the next 20 to 30 minutes," said senior author Eric Dunham, an associate professor of geophysics at Stanford Earth. Here, Dunham and lead author Yuyun Yang, a doctoral student at Stanford's Institute for Computational & Mathematical Engineering, discuss their method and how in the future it might even be applied in places lacking dedicated offshore sensors, which are currently only deployed in Japan. Eric Dunham: Current tsunami warning systems begin with an estimate of earthquake properties from seismic waves, then utilize pre-computed relations between earthquakes and the tsunamis they generate. Dunham: A similar data assimilation method proposed for use in Japan's warning system, called optimal interpolation, offers similar predictions, but with less accuracy and consistency in some cases. Predictions with that method can fluctuate depending on when the forecast is made. One forecast will say, "The wave's going to be 10 feet high." Two minutes later: "The wave is 3 feet high." Our approach reduces these fluctuations, particularly when offshore sensors are far apart. The data assimilation technique you've applied is not new. Why hasn't this approach been applied to tsunami warning systems before? Dunham: This new technology – offshore sensors connected via fiber-optic cable to land – allows the data to stream in almost real time back to computers where it can be processed and used in warning systems. These sensor networks are extremely expensive to deploy and maintain, and scientists and engineers are grappling with complications with the data. Tides, currents, temperature and salinity changes can cause these instruments to tell you that there's a change in pressure or wave height when there's not. But as long as you have some estimate of the uncertainty in the data, then the method can tell you how to best utilize that data. You've tested your method on a simulation of a tsunami as it would likely play out off the coast of Washington, Oregon and British Columbia. Is a system that proves effective there likely to be equally effective in California, Indonesia, Japan or anywhere else? Yang: The physics is the same everywhere, but most regions don't have the cabled arrays installed that would make it possible to implement this method. Dunham: That is the recommended approach in countries without advanced instrumentation: If you feel strong and long-lasting shaking, get to high ground. But if you can provide more quantitative forecasts, many people and agencies will be able to use that information. If you're operating a nuclear plant with a seawall of a certain height, it might matter if the wave is going to be 10 feet high or 12 feet high. Yang: During the Tōhoku earthquake, a lot of people escaped to higher ground, like the roof, but they didn't go high enough. They got flushed away later and drowned. An accurate warning will tell them exactly how high they need to go.